"We all are threatened...They are threatening to put our entire family in jail," Leader of Opposition Ram Govind Chowdhury. Leader of Opposition of UP assembly alleged that government "wanted them in jail". 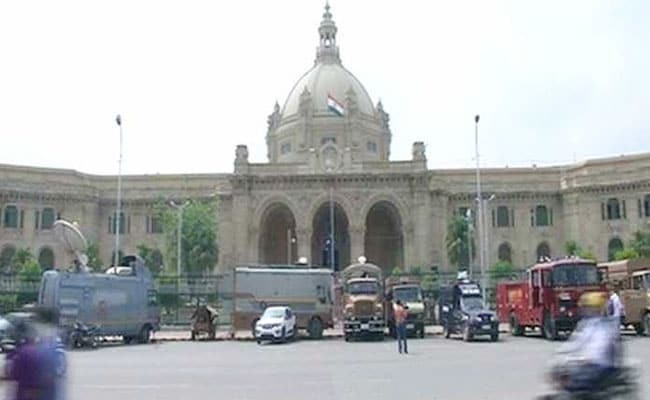 Lucknow: Members of the Samajwadi Party or SP, the Bahujan Samaj Party and the Congress today staged a walkout from the UP Assembly, accusing the state government of threatening the opposition and using unparliamentary language. As soon as the House met for the day, Leader of Opposition Ram Govind Chowdhury, who belongs to the SP, alleged that the government was "threatening opposition and wanted them in jail". "We all are threatened...They are threatening to put our entire family in jail. Members are being humiliated and we are not getting protection from the Speaker. I have never seen such a situation in the House in past 40 years. We all are walking out, now you run it (the House) as you want," Mr Chowdhury said. Supporting him, BSP leader Lalji Verma alleged that when opposition members stand, rules are cited and they are not allowed to speak. "Yesterday, after the finance minister's address, there was no provision of address by the Leader of House. If he was allowed, the Leader of Opposition is also entitled to address. This is against the dignity of the House. Unparliamentary words are also being used. There is no point remaining in the House in such a scenario," Mr Verma said. Congress Legislature Party Leader Ajay Kumar Lallu alleged that when the LoP started his address yesterday, his mike was switched off. "We all have decided to walkout to protest government's attitude towards opposition," he said. Opposition members did not heed to Speaker Hriday Narain Dixit's request and walked out unitedly. Denying opposition charge, Parliamentary Affairs Minister Suresh Kumar Khanna said it was not correct that the voice of opposition in suppressed and that the government is working with 'Ahankaar' (arrogance) due to its numbers. "What's wrong in announcing a CBI probe in recruitments done by the UP Public Service Commission from 2012. It is a justified move. We have got mandate and message among people should go that we are there for the people. No unparliamentary words were used," Mr Khanna said. "Leaving the House is insulting the people's mandate given to the opposition," he said. "Yogi ji (Chief Minister Yogi Adityanath) has presented government's working in argumentative way and it was just annoyance of the opposition and their action is not justified," he said. Mr Khanna said he had talked to the LoP before coming to the House this morning. "Chowdhury appeared normal and did not mention anything that time," he said. Speaker Dixit said he had given due time to the opposition to speak. "LoP presented his views and left the House. They should have heard me before leaving the House. It is unfortunate. 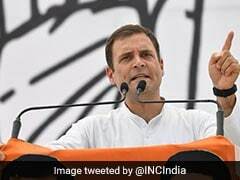 I request the opposition to participate in proceedings as 22 crore people have sent them here to raise their voice," he said. The Speaker adjourned the House for 30 minutes till 12 noon while stating that all questions were taken as answered. When asked whether the mike of LoP was stopped during his address yesterday, Dixit told reporters that it was not so "When we move forward to the next matter in the House, it is stopped. I have requested the opposition to return, I think they will (come back)," he said.